Sorry we missed last week! 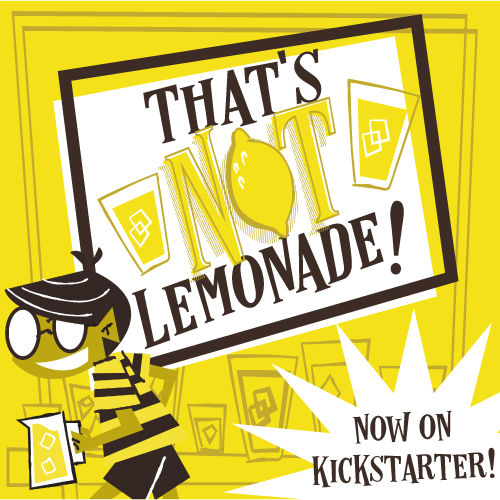 Please accept our apologies--and these Kickstarter campaigns. Let's go! Vikings of Dragonia is all about being a viking in... Dragonia. Each player attempts to lead his or her clan to victory while battling each other, as well as dragons (this is the land of Dragonia after all). The game components look really slick, with some nice modular board pieces, lots of meeples, and some nice-looking cards. Vikings of Dragonia looks to be a medium weight game, with a quick learning curve and a play time of less than 60 minutes. A 13-card micro game of bluffing and deception. Cunning Folks: AWHGBJT, on the surface, appears to be a slight variation on the classic Are You a Werewolf? with a few twists and different roles. For $5.00 it's definitely worth considering adding this to your bluffing collection. At the expense of sounding like a person hap-hazardly applying labels, think Star Wars X-Wing Miniatures game with steam-powered airships. The movement system looks similar to X-Wing or Star Wars Armada, and the ships looks really sweet. Game Fleet has taken on the laborious task of trying to build out their tool sets so they can produce a full lineup of minis, and create their universe for the game. Like any miniatures game the biggest hurdle is the price of getting into it. But if you're into minis, and steampunk-type settings, this is the game for you! You read that right: not polyhedral dice, but PolyHero dice. The Hero Set is a 7-dice set, featuring dice shaped like daggers, swords, helmets, shields and more. It's a very cool design and concept. The only downside is that there are only two colors being offered, and at first look no stretch goals to unlock different colored sets... Still, if you're a dice roller, these are worth a look! That's all we've got for today! Let us know what you're backing, creating, and excited about! And don't forget to check us out on our newest social media outlet: Periscope!